Simple and strong, the mission style of the San Marino Swivel Bar Stools blends beautifully with kitchen decor. 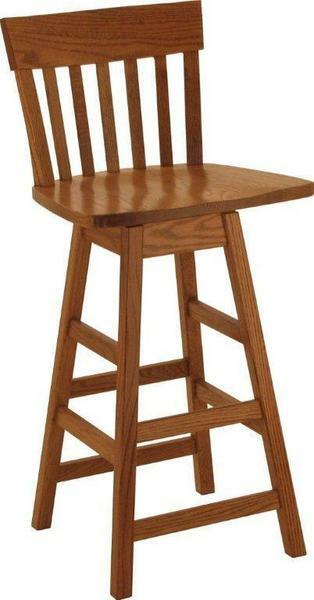 It's easy to line the bar or counter with a set of these stools handcrafted with care by Amish woodworkers. Enjoy casual dining as well as a great seat for working at the counter with these fun swivel stools. You can customize the look of this Amish furniture by choosing the wood and finish that works best for your home. Samples are available to consider at home. 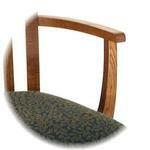 Click on custom options or feel free to get help from an Amish Furniture Specialist. They can be reached by phone or email and are eager to guide you through the customization process. Thanks for shopping DutchCrafters for your new kitchen furniture. Seat Back Height: 13 1/4"